a favorite of adventure lovers and those who want to know ancient cultures destination. The most charming landscapes merge into the African horizon where he is a breath of dry wind to make us feel the pleasure of unspoiled places such as nature made them. In return the continent has seen popular uprisings, civil wars and political conflicts for decades. Countries prepared for tourism and major tourist attractions in Africa are: Morocco, Egypt, South Africa, Madagascar and Tunisia. You can appreciate the Arab life as it developed in antiquity. Morocco has a unique cuisine that captivates travelers. Moroccan food is very appreciated by tourists and is based on meat and sweets. You can also visit the typical Arab tea shops attached to outdoor markets. You can buy handicrafts which is very important in this North African country product. Morocco exports leather and is said to be one of the finest in the world. The most popular destinations are Morocco: Rabat, Casablanca, Marrakech, Fez, Tangier. The nightlife consists of restaurants, clubs, modern casinos. In Morocco there are national parks or protected areas such as the Souss-Massa National Park. The ancient pyramids attract travelers from around the world. History buffs, adventure tourism and archeology in Egypt feel dazzled. The country relies much of the economy on tourism and the country is quite used to getting Western tourists. The forced to travel in Egypt is Cairo, Luxor and Aswan. 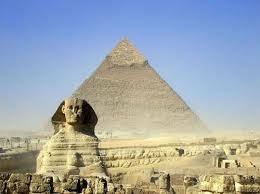 The Cairo Museum and the Great Pyramid of Giza worth the trip and you can also travel by camel. It is the country par excellence for tourism in Africa. The complex of pyramids of Luxor and Karnak also amazes the visitor. In this country you can see a mix of cultures Berbers, Phoenicians, Romans, Jews and especially Arabs. The intense heat, Arabic music and camels through the streets offer a unique landscape of Arab culture. The Bardo Museum is a place to meet. Collect the most impressive collection of mosaics from Roman times. The main mosque in the city, Ez-Zitouna is a blend of architecture from different periods. Palace Tunisian Kasbah is another attraction. It is a huge square topped with a huge monument. Before the French occupation was a Kasbah which was a fortified palace that was destroyed. The African country has three capitals. It has a cultural diversity, languages ​​and religions immense. In South Africa you can make spotting safaris or white sharks in Gansbaai. The cuisine is highly valued. The most famous dish is Bobotie, which is cured meat. The Pilanesberg, the Krueger National Park, Mpumalanga, the Sisulu Botanical Park National Park are the main attractions of South Africa. The island of Madagascar is a paradise. Located on the southeastern tip of Africa, off the coast of Mozambique secures enjoy quiet beaches with turquoise water and white sand. The Isalo National Park has rugged canyons. Madagascar will also see baobabs streets with the famous tree that became famous The Little Prince. Other small islands near Madagascar and Nosy Be you can enjoy the calm and open skies with palm trees. The island has several national parks like Ranomafana, Aahamena, Andohahela, Marojejy among others.